All-Star forward Anthony Davis has informed the New Orleans Pelicans management that he doesn’t intend to sign an extension with the team and has requested a trade. As first reported by ESPN’s Adrian Wojnarowski, the 25-year-old’s agent Rich Paul spoke with officials on Friday to inform them of the decision. While there are many suitors in line for the five-time All-Star, Rich Paul hasn’t yet revealed Davis’ preferred destination. With the trade deadline being moved up a week to February 7th, the Pelicans have little time to move Davis but will have no shortage of offers with the Lakers and Celtics favorites to snap up the three-time All-NBA superstar. Rich Paul added that the timing of the decision was for the benefit of both the organization and Davis, who is set to become a free agent in the summer of 2020. 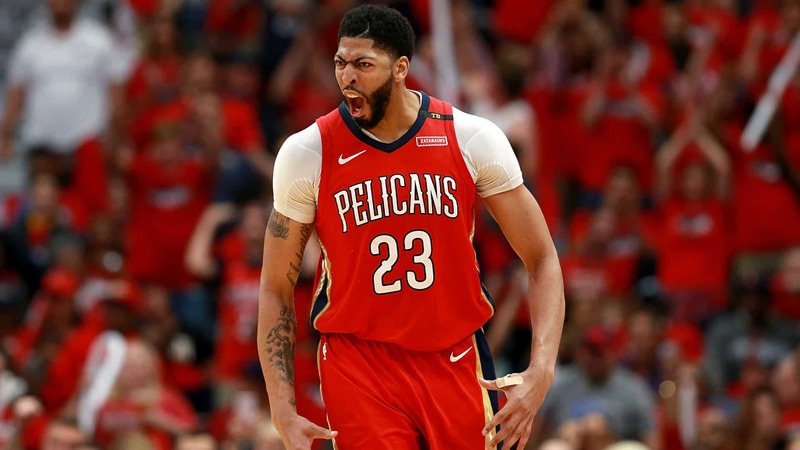 “This past weekend, Anthony Davis’ representatives informed us that Anthony does not wish to sign a contract extension with our team and subsequently has requested a trade. Although we are disappointed in this decision, our organization’s top priority is to bring an NBA championship to our city and fans and build our team for long-term success. Davis has been sidelined since January 21st with a sprained left index finger but has been in and around the Ocshsner Sports Performance Center, where Jrue Holiday spoke with the media following practice. “He’s gotta do him. He’s gotta do what’s best for his family, what’s best for him and what’s best for his career. Anthony has always been professional and he’s always been professional with us, and even more so he’s been a friend and like a brother. “Whatever decision he makes, I can’t be upset with him, this is a business but he’s doing what’s best for him. I think everybody has been through it, maybe not to this capacity but knowing Anthony he’s still going to come here and work, you can probably even hear him yelling right now. The rule allows certain players coming off their rookie-scale contract to earn 30 percent of the salary cap as opposed to 25 percent. The player must satisfy at least one of three criteron in their first four seasons; win MVP, be named to two All-NBA teams or be named a starter in two All-Star games. A team cannot trade for more than one player who has the Rose rule in their contract, however, Irving is due to be an unrestricted free agent in the offseason and intends to stay in Boston. While Irving cannot re-sign until July 1, Davis is giving the Celtics plenty of notice and Danny Ainge will undoubtedly clear the deck in preparation to sign The Brow. The Celtics will need to move around some money, but ESPN’s Zach Lowe is convinced that Al Horford, who has a $30million player option for the 2019/20 season, may take a substantial pay cut in order to stay with the team. Assuming Horford does take a serious pay cut or even leaves the side completely, that frees up plenty of cash for the Celtics who will need to concede that Terry Rozier will be on a new team next year. The Lakers meanwhile are also firm favorites and with plenty of young players to offer New Orleans, it’s hard to imagine the Pelicans passing up a legitimate offer. Any combination of Kyle Kuzma, Brandon Ingram, Lonzo Ball, Josh Hart, Kentavious Caldwell-Pope and even Ivica Zubac could be enough for the Pelicans, who would enter a rebuilding process that they’ll want to turn around quickly. With KCP, soon to be 26-years-old, the oldest of all the players, the future would look bright for the Louisiana side. Kyle Kuzma would likely be the centerpiece of any trade from the Lakers with the Michigan native having a standout season averaging 19.1 points per game on 46.6 percent shooting. The Pelicans are reluctant to make a trade before or even after the February 7th trade deadline, but if a team comes knocking with an offer too good to turn down, we may see Davis in different colors before the All-Star break. Wait so what if he goes to the East?? ?